Probably the best way to experience the grandeur of Yosemite National Park is by hiking or backpacking through it’s fields, forests, and paths. Every turn displays different natural wonders; each path brings you closer to the environment. With more than 800 miles of trails to explore, Yosemite National Park offers something for everyone from the beginning stroller to the expert trekker. Hiking in Yosemite is what you make it—whether it’s a 14-mile hike up 4,800 feet on the Half Dome trail, or a relaxing jaunt along the Cook’s Meadow Loop, Yosemite hiking is a journey you’ll not soon forget. YExplore Yosemite Adventures | Custom Guided Adventure Hikes, Nature Walks, and Photography Workshops in Yosemite National Park. Small group sizes guarantee a personalized experience with professional local guides. 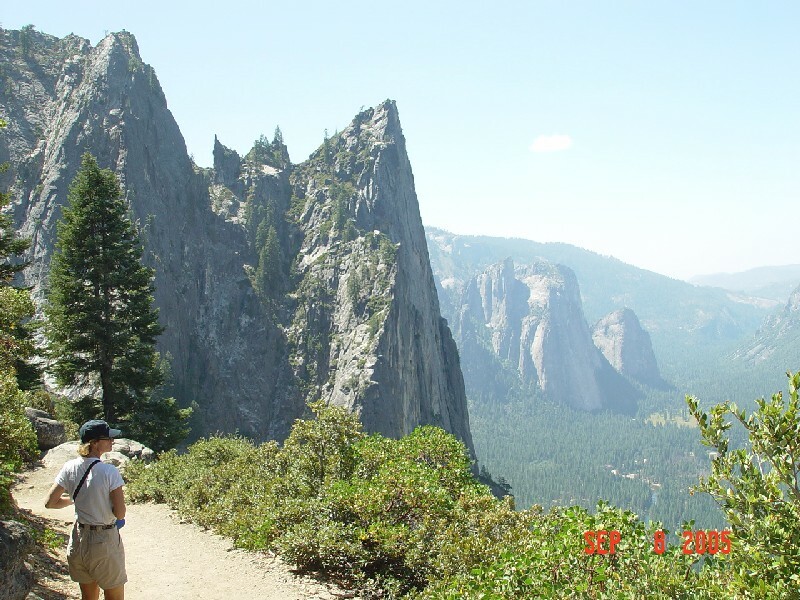 Day hikes range from flat walks to robust climbs, with distances from the valley of under one mile (to Bridalveil Fall, easy) up to 17 miles (to Half-Dome, very strenuous). Visitors will see waterfalls, especially strong in the spring, glacial ravines, panoramic views, forests and meadows. You can also hike above the valley floor south in Wawona, where you will see covered bridges, open pine forest, and the Giant Sequoias Grove. Shuttle bus service is available for tired trekkers to return to Wawona from the Grove. From the nortern part of the park, you can visit Soda Springs, Cathedral Lakes and follow the John Muir Trail. Longer hikes lead to Tioga Pass and the High Sierra Camp. Connecting Yosemite Valley and Glacier Point, 4-Mile climbs from the valley floor to the south rim at Glacier Point. This Yosemite hiking trip provides a postcard moment at every turn. If you are looking to capture a breath-taking view of Yosemite Falls, this is the trail you will want to be on. 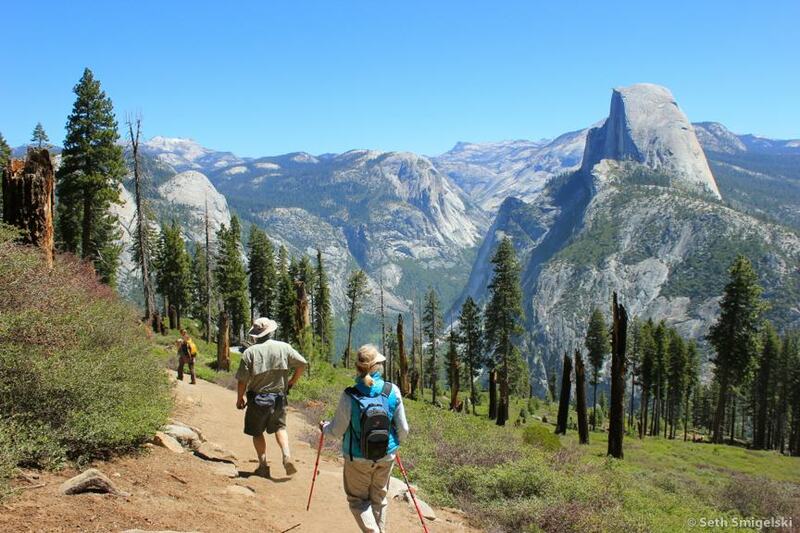 While completing this 4-mile hike, you will also get to take in sights like Yosemite Valley. If you make it to the end, you may even be able to buy yourself an ice cream at the Glacier Point cafeteria, which also sells other snacks and convenience items. Hiking in Yosemite isn’t complete without getting some refreshment from waterfall spray, and this trail gives you two opportunities with access to Nevada and Vernal Falls. 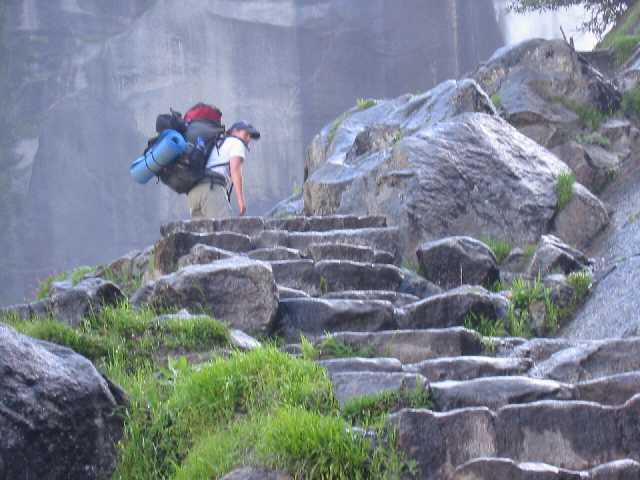 If you’re in the mood for a short jaunt, you should hike round trip to Vernal Falls. This will only set you back 3 miles. However, if you’re a hiking enthusiast, you should definitely try hiking to Nevada Falls, which is a 7 mile roundtrip trail. Aside from offering a few routes, the Mist Trail is regarded as Yosemite’s signature trail because it offers so many majestic views.